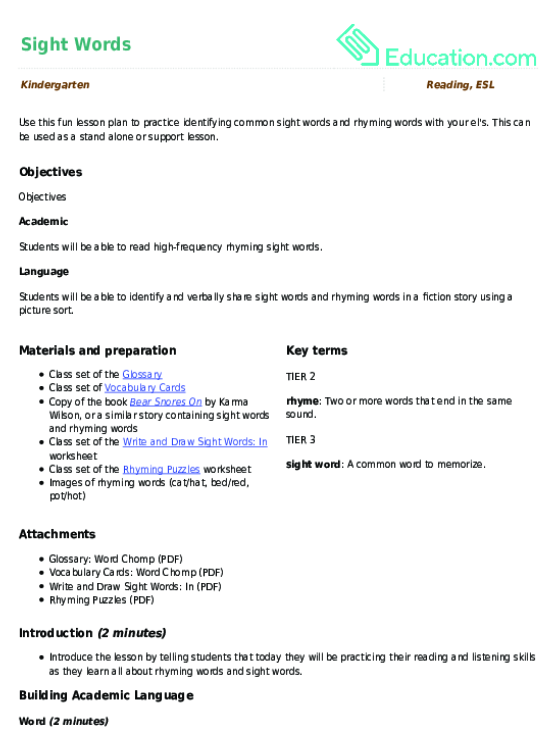 This lesson can be used as a pre-lesson for the Introducing Reader's Workshop!Lesson plan. Pre-written sentence frame for each student: "My favorite part was ____Because ___." Illustration: a picture or drawing in a book, magazine, etc. Students will be able to demonstrate the routines of reader's workshop through shared participation. 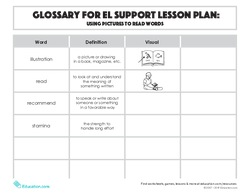 Students will be able to retell a story with grade level words, phrases, or sentences, using visuals and sentence frames for support. Introduce the lesson by displaying a familiar read aloud book to the class and saying, "I love reading this book! I know the story really well, so I can retell the story in my own words, use the pictures to tell the story, or I can read the words." Tell the class that today you will be practising different ways to read the same book, during reader's workshop. 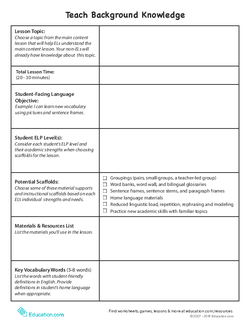 Introduce or review the lesson vocabulary words by providing student-friendly definitions in English and home language (L1) using the visual Vocabulary Cards and Glossary as a reference. Have the students turn and talk to share different ideas of activities that take stamina (e.g., running, climbing, swimming, etc.). Display a recent read aloud book and ask the class if they would recommend the book to a friend. Have students turn and talk to a partner to share their opinion using the sentence frame, "I would/would not recommend this book because _____." 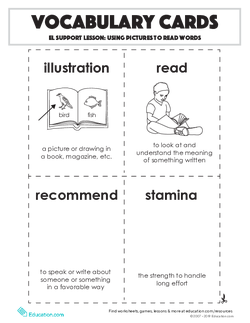 Model the different ways to read a book by showing students how you can read the words, retell the story from memory, or use the pictures to read the story. Ask the class to notice what you are doing as you read in the three different ways. 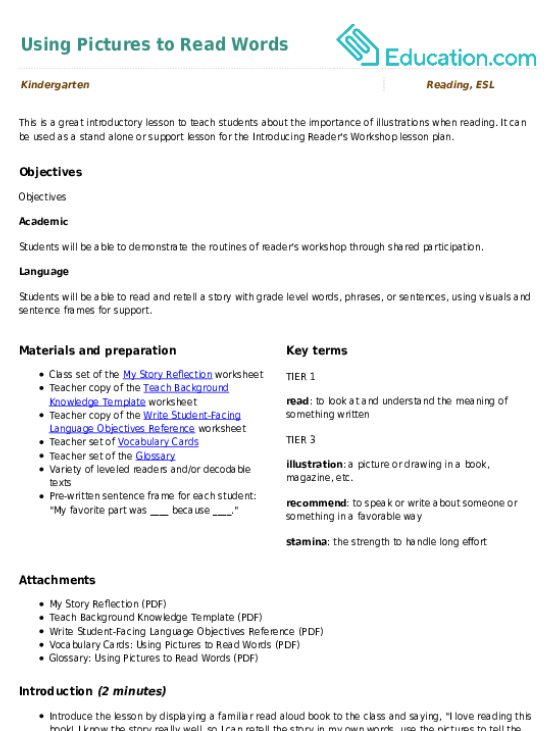 Write and refer to the following sentence frame as you model using the illustrations to understand the story, "In this picture ____(character) is ____(action)." Encourage a couple students to briefly share ideas about the story, using the sentence frame and teacher support as a guide. Choose a new (unfamiliar) read aloud and go on a picture walk with the class to practise reading the story using the pictures. Model how you are using the illustrations to connect to the story. Pair students up together and have them take turns being the reader and listener as they read their story using the illustrations as their guide. Then, have them switch using a different book. Ask students to pause halfway through this activity and share if they would or would not recommend the book to a friend. Choose appropriate books for students to focus on one skill (decoding, retelling, using the pictures) and work with students in a small group as they read. 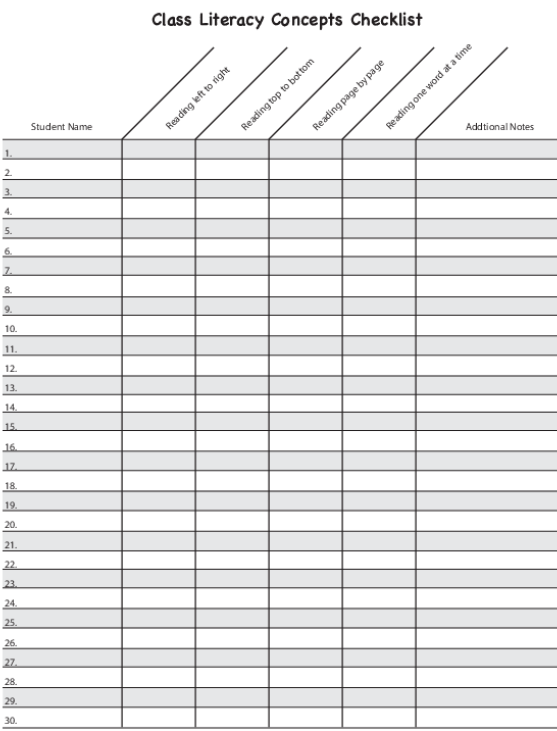 Have students read a second book and fill out the My Story Reflection worksheet. Encourage students to use words in addition to pictures to describe the story. 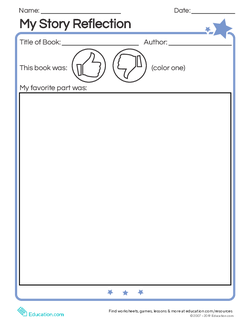 Pass out the My Story Reflection worksheet and have students refer to the illustrations in the book. Have them write or draw what they liked best about the story and if they would recommend it to friend. 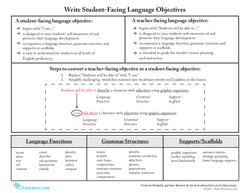 Provide students with pre-written sentence frames to support them. Gather the class back together and invite students to share one thing they liked about their book, using the sentence frame, "I liked ____." Encourage them to refer to a specific page or illustration.